A quiet morning in Stockholm, Ewert Grens recieves an emergency call to a mourge where there is one dead man too many, left among other bodies in a locked room. How is that possible? Piet Hoffmann travels on a new continent, one last dangerous mission before he forever will leave that life behind. A trip through a hot and dry desert to a roaring sea, in a world where a human life has no value. Back in Sweden, Zofia and the boys are waiting and longing for their husband and father. When he returns, they will finally will be able to seek the calm and quiet. It turns out to be a fraudulent feeling of security and soon two young boys will be fighting to survive. THREE HOURS is the difference between life and death. 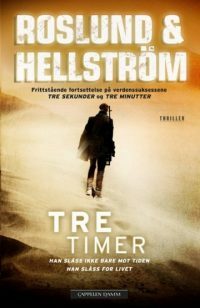 Roslund & Hellström’s “Three Seconds” climbed the bestseller lists around the world, and will in August 2018 get it’s much anticipated Hollywood movie premiere. “Three Minutes” became the next success. 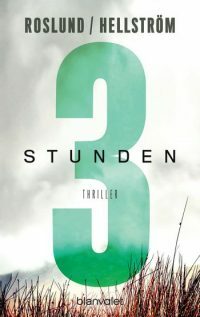 Now arrives the sequel – in the magnificent and thrilling “Three Hours”, Anders Roslund once more reunite infiltrator Piet Hoffmann and Detective Superintendent Ewert Grens, taking us even further into the world of crime. 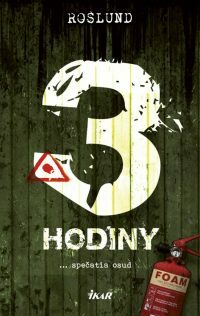 “Three Hours is an exciting Nordic crime novel!" "Stieg Larsson's successor gives social diagnoses, mimics computer games, tells stories with complex plots, and takes the violence to new extremes with each new novel." “Swedish crime at its best … Three Hours is an extremely successful and read-worthy thriller, and there are many good reasons for it: First and foremost, it is clear that the author has great knowledge about the subject of human trafficking and its cynical mechanisms. The mix of fact and fiction thus works excellently. The narrative quickly shifts between Grens and Hoffmann and it’s so tightly constructed that the book’s almost 400 pages are hard to let go of." "Roslund continues the popular Ewert Grens series with success. In Drie Uur / Three Hours he gives us an incredibly real picture of an environment where morality is an overblown luxury ... The ending is beautiful: not everything is rounded, the lines of good and evil turn into an inextricable tangle. “A new successful part of the Ewert Grens series ... Just like in the previous Piet Hoffmann parts, the clock is again irresistibly pointing towards climax … You just want to continue." 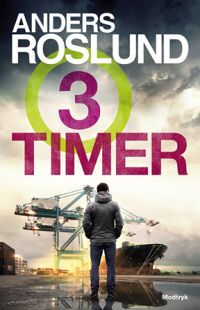 “Roslund writes the fourth part of the celebrated Three series (Three Seconds, Three Minutes, Tree Hours) with success … Three Hours is a very strong crime novel that gives the reader a credible insight in how trafficking works … Gripping, current and confronting. Roslund reaches dizzying heights on his own. Let part four come soon." “Not only is Three Hours a thrilling novel with a strong plot, it is an old school Scandinavian thriller that turns a critical eye to the refugee issue and the new cynicism in society." ""Where can you find a crime novel that shakes your conscience at the same time as it is exciting? In Sweden, of course ... Anders Roslund and Börge Hellström have written a number of remarkable crime novels during the last fifteen years ... Roslund has done some thorough research. In this suspenseful novel, he not only tells us how smugglers operate, but how men and women in key positions in various aid organizations and in politics actively facilitate the trafficking of refugees for blood money ... 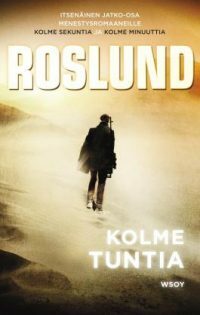 In addition Roslund gives his main characters fascinating personalities ...In the prologue, Roslund tells us how he got to know Hellström and why they eventually started writing crime novels as a duo. The reason had much to do with social criticism, according to Roslund, the very core of the Swedish crime novel, and with reviving these strong stories. And Three Hours is a striking example of this." “Anders Roslund makes something extraordinary by letting the refugees, beggars and people without documents grow into individuals. He also know how to tie an exciting thriller and the human trafficking case together … Anders Roslund continues Roslund & Hellström’s earlier creations with the same competence … Again, it’s madly exciting, with a thriller plot that quickly escalates." 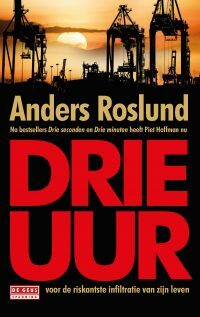 “A superb combination of classical crime novel and political thriller … Roslund makes your heart skip a beat in certain parts of the book, then slows the pace in others, giving us time to reflect, empathize and be engaged … In Three Hours, the characterizations are stronger than ever … Crime novels like this are needed – Roslund proves that it’s possible to write excellent reading entertainment with gripping and relevant content." 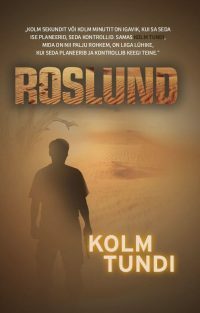 “As usual roslund has done a very solid research, which makes Three Hours to stand out among lately crime novels about the refugee catastrophe … Roslund is a skilled writer with an enormous drive in the storytelling. The combination of crime novel and action-packed international thriller works great and it’s easy to like the main characters … Even without Hellström there is hardly anyone who beats Roslund in writing a really exciting thriller." “A brilliant crime novel written in a high pace and with a forceful prose. This concept really holds for a fourth book!" “A truly excellent thriller that, besides being well-written and credible, feels urgent and highly topical. Both character portraits and milieu depictions are outstanding."